Before I had children I didn’t really think about what the toilets were like before visiting a restaurant or when out for the day. When you’re an adult you can kind of make do even if a toilet is not the best, although obviously it’s not ideal to have to use a dirty, smelly washroom. 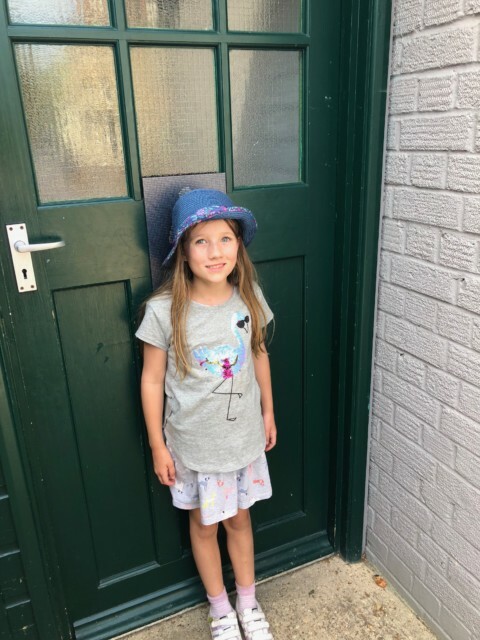 Since having children it’s something I spend a lot more time thinking about, no one wants to see their toddler clambering over a dirty toilet or change a baby on the floor. 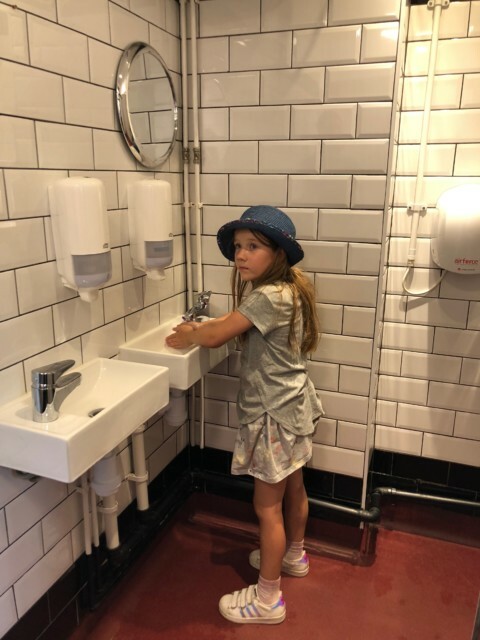 We visited Chobham Adventure Park today where there were children’s toilet seats hung on the walls to place over the adult seats, the sinks were set down low with plenty of soap and the whole place was spotlessly clean. The baby change area had a chute for nappies so the nappy bin wasn’t in the changing room and anti-bacterial spray to use on the changing mats once you’d finished. It was super clean and one of the best public changing areas I’ve had the pleasure of using. When you’re out with children a clean and well though out baby change area and toilets is a huge benefit. I’m a lot more likely to go back to a children’s play centre if the toilets are clean. Luckily there is a new app which allows people to rate toilets, so you can search for a washroom before you visit somewhere new and arrive prepared. If I knew a washroom wasn’t going to be the most hygienic I’d definitely arrive with extra baby change mats, wipes and hand sanitiser! The Cleen App is like a TripAdvisor for toilets and is definitely something I would use when taking the kids out. I can see that it will be very useful for disabled people to assess accessibility to washrooms too. What do you think? 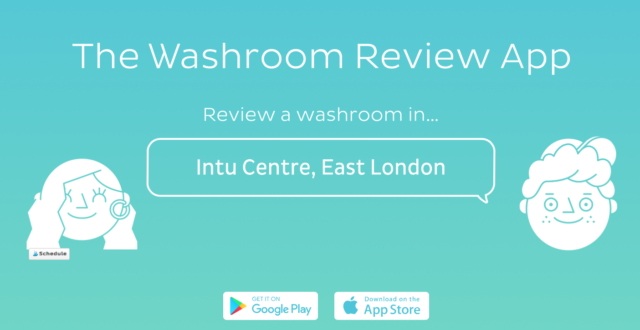 Would you look for a washroom review before visiting somewhere new and if the review was bad would you go somewhere else? I think for a restaurant I’d be quite unwilling to visit somewhere with bad washroom reviews as I’d link washroom cleanliness with kitchen cleanliness, but I’d be more forgiving of poor quality theme park toilets, for example. The lovely people from Cleen asked us to review a washroom for them. We happened to be visiting Bletchley Park anyway so decided to rate the washrooms while we were there. We found two washrooms on our visit, one in the main visitor centre and one at the side of Hut 4. Both were perfectly acceptable. 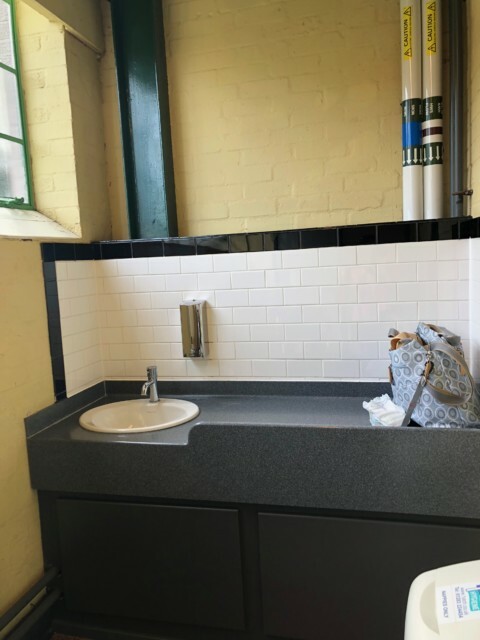 The toilets themselves and the sink area were very clean with lots of hand soap available. The rooms themselves were quite old and well used. 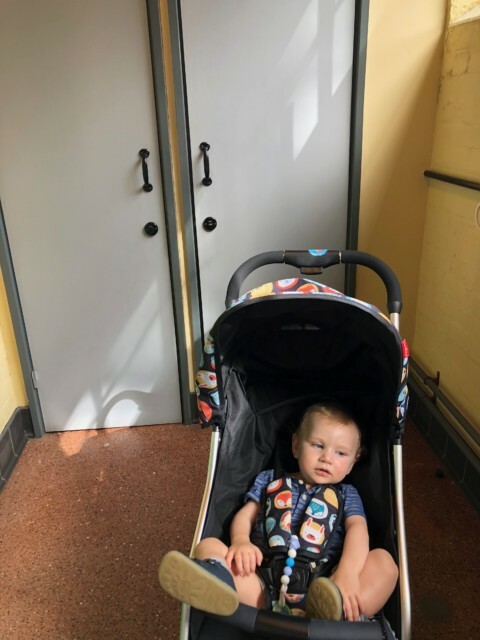 I didn’t use the baby change area by Hut 4 as it was locked, but the baby change room in the visitor centre was huge, with large accessible toilet areas as well. The baby change area was clean and dry with a handy sink, but there was no mat, so you’d need to take your own.The nappy bin was pretty empty so I’m guessing the toilets are cleaned regulary. All in all the washrooms were good and I was happy for the big children to use them unsupervised. How important is washroom cleanliness to you? Will you be using the Cleen app? This is a great idea for days out. Means you can stock up on anti bac/wet wipes/spare tissues in case you’ve already planned on going somewhere with dodgy loos! OK now this is an awesome app! I am so funny with public toilets – I do anything I can to try and not use them, but this actually might make it just a little easier going! Washroom cleanliness is of real importance to me. This sounds like a fantastic app. It’s always one extreme or the other for us. I think it’s so important for the toilets to be clean and accessible. The app sounds useful and it it could for them to be rated as then the owners of the toilets can be aware and do something if the standard is not good enough.